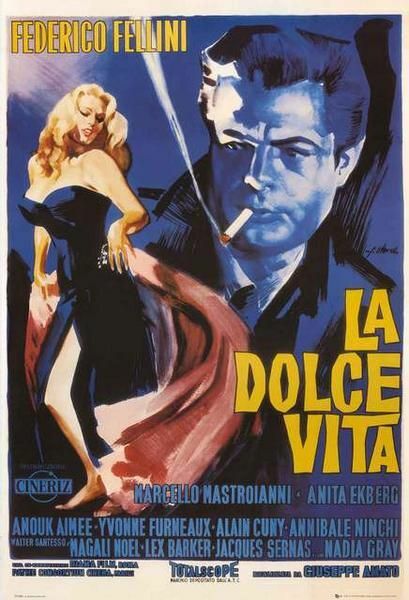 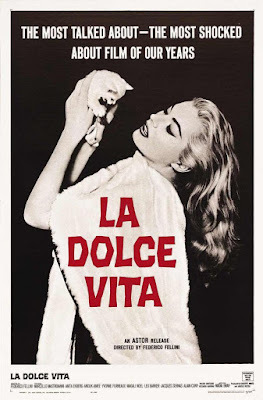 Here is the song from the famous film "La Dolce Vita" by Federico Fellini - written by Nino Rota and sung in her own classic torch singer style by the great Italian singer Katyna Ranieri - chosen to illustrate the incredible beauty of the sublime Anita Ekberg, who starred in that film. 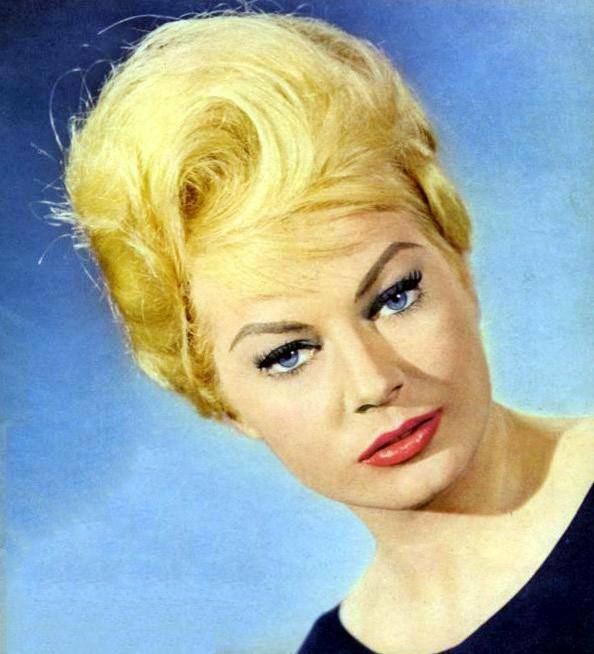 Katyna Ranieri (born in 1927) had her first hit in 1954 at the Festival di Sanremo with the song "Una canzone da due soldi". 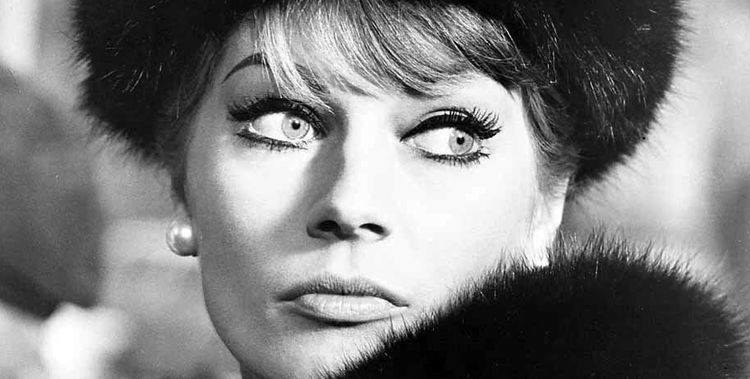 She is the wife of the musician Riz Ortolani and the first Italian singer to have performed at the Oscar ceremony in 1964. 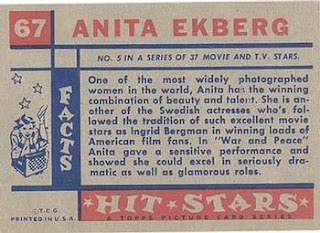 She has toured in the whole world. Also an actress, she collaborated with Nino Rota on several Federico Fellini movies. 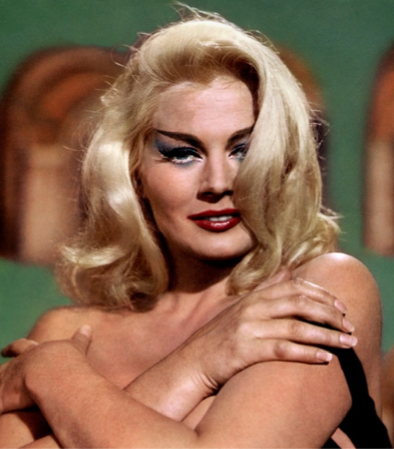 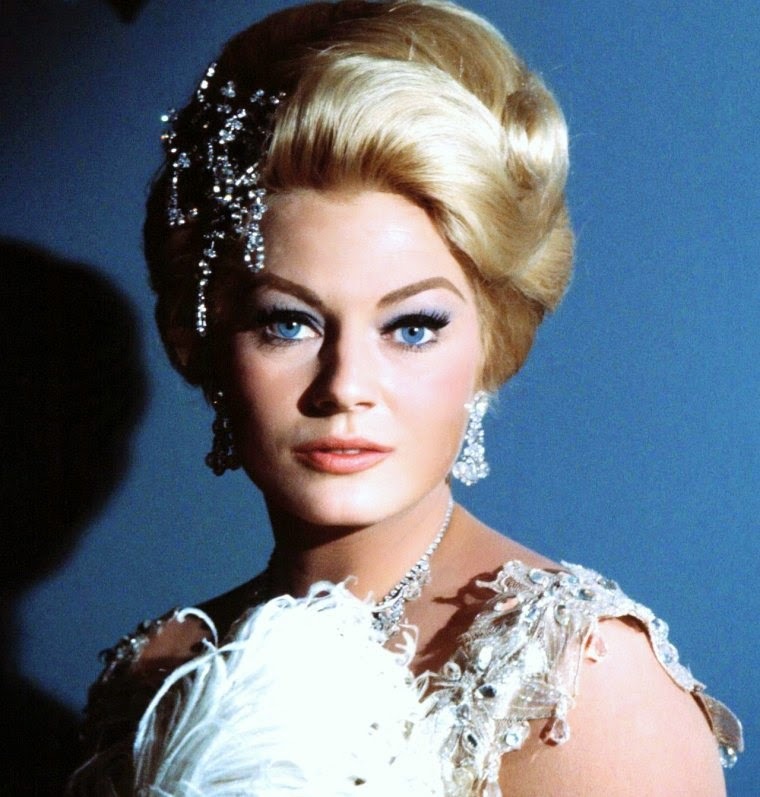 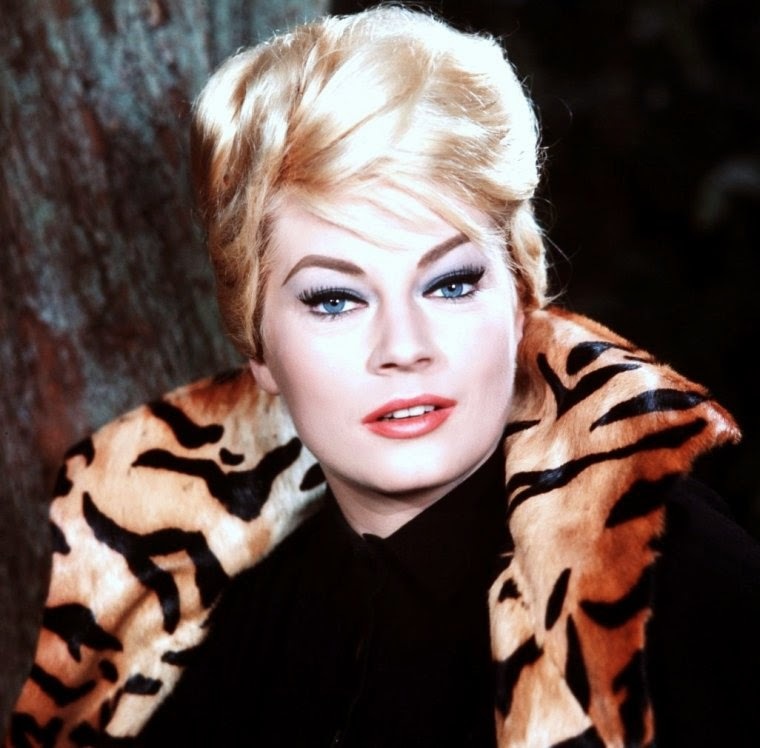 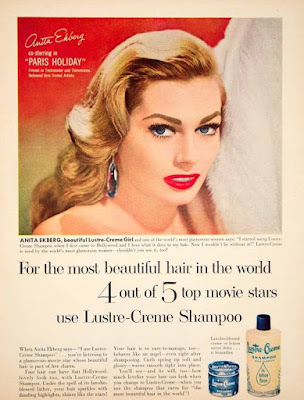 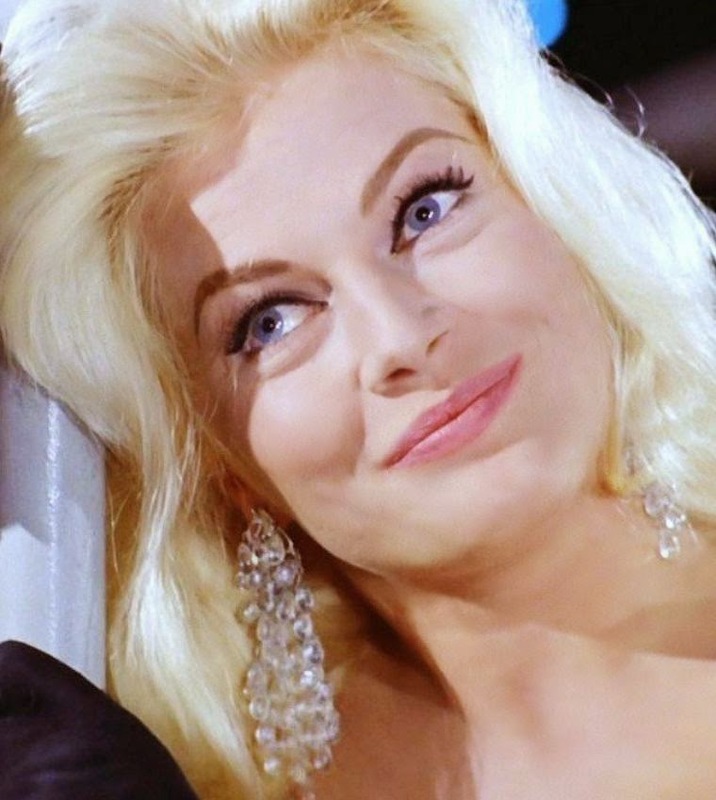 Kerstin Anita Marianne Ekberg (born in 1931 in Malmö - 2015) was a Swedish model and actress. A 1951 Miss Sweden — she competed in the Miss Universe pageant — Ekberg is best-known for her role as Sylvia in "La Dolce Vita". 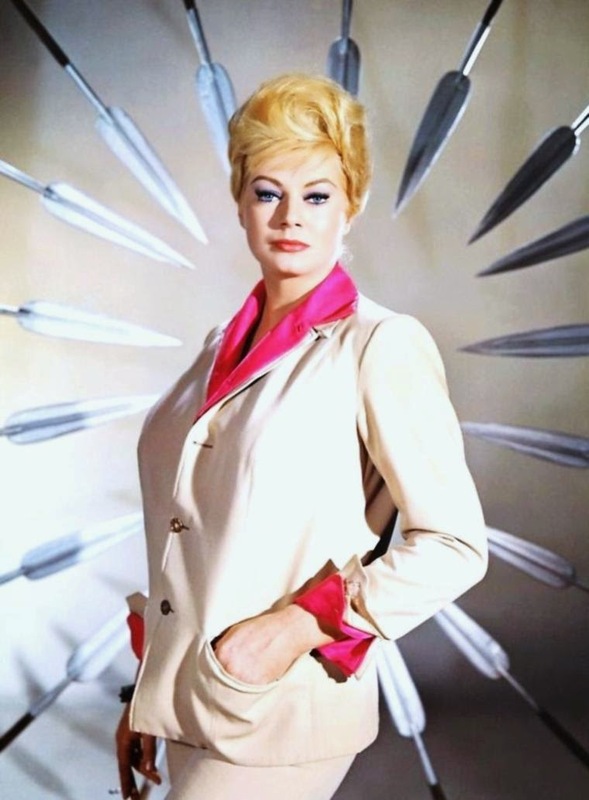 She toured with Bob Hope and William Holden to entertain U.S. troops in 1954 and it led her to a contract with John Wayne's Batjac Productions. 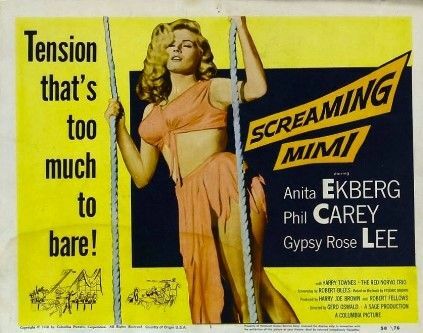 He cast her in "Blood Alley" (1955) as a Chinese woman, a role that earned her a Golden Globe award. She appeared in "Screaming Mimi" (1958) directed by Gert Oswald who already used her in "Valérie"; "War and Peace" where she played Henry Fonda's unfaithful wife. 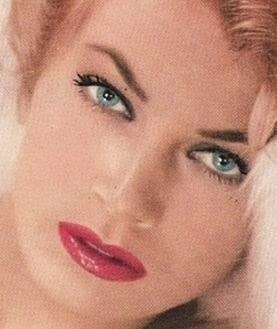 She also appeared in 2 Frank Tashlin films with Jerry Lewis and Dean Martin: "Artists and Models" (1955) and "Hollywood or Bust" (1956). 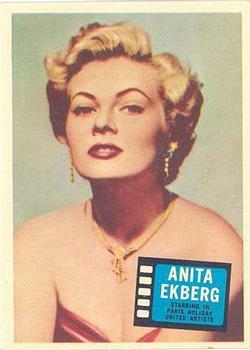 In "Back from Eternity" (1956) she was cast as Robert Ryan's leading lady. 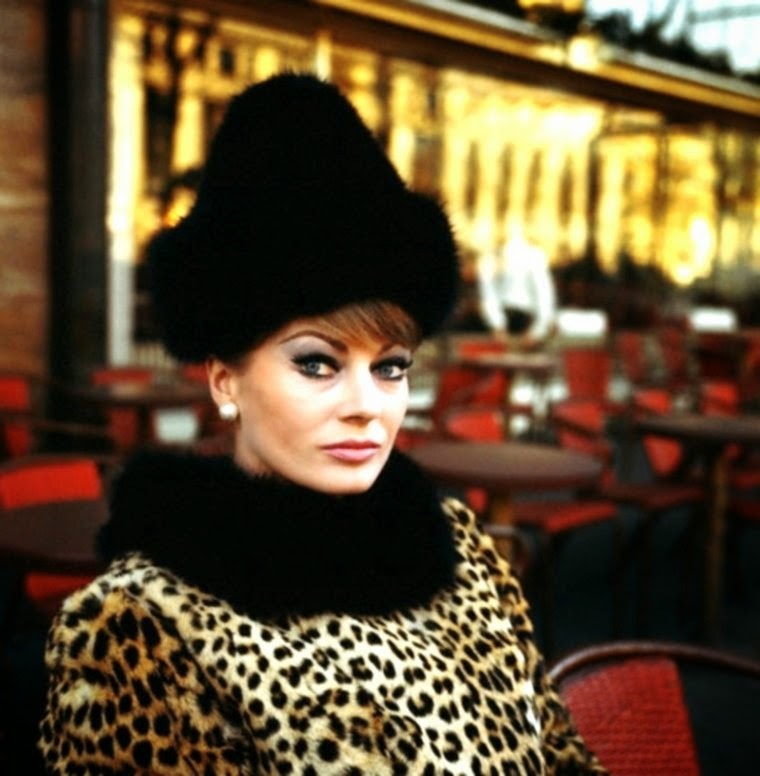 However it was Federico Fellini who gave Ekberg her greatest role in "La Dolce Vita" in 1960, in which she played the unattainable "dream woman" opposite Marcello Mastroianni; then "Boccaccio '70" in 1960, with Sophia Loren and Romy Schneider. 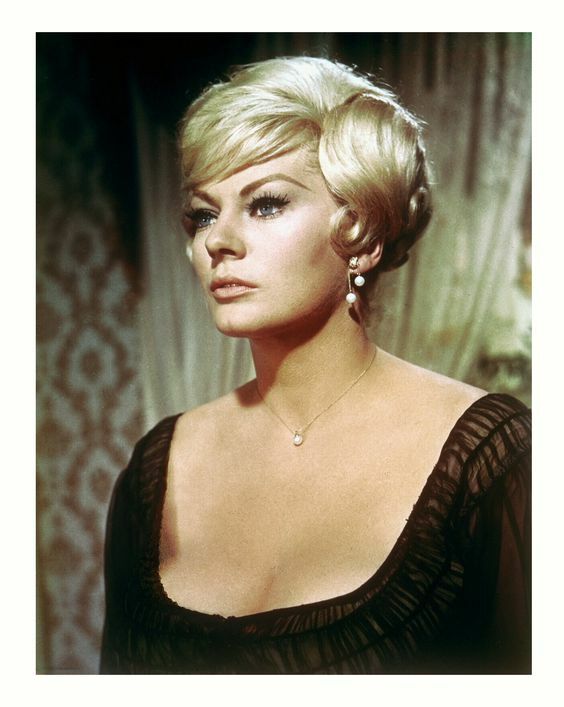 Fellini would call her back for 2 other films: "I Clowns" (1972) and "Intervista" (1987), where she played herself in a reunion scene with Mastroianni. 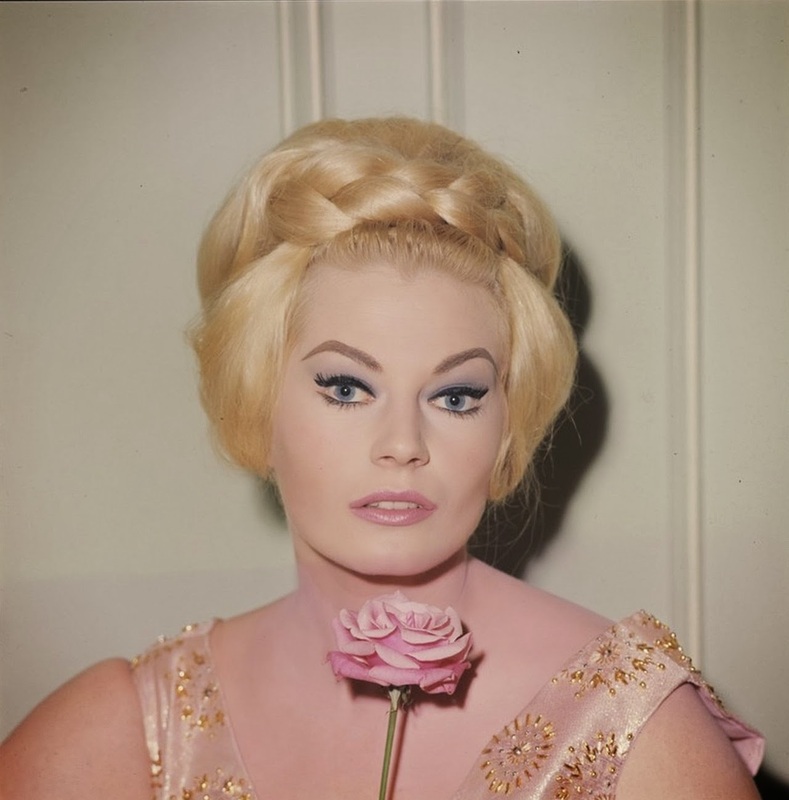 Fellini aside, she was not offered many films in the 60's. 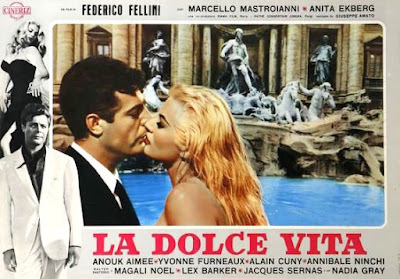 "Four for Texas" by Robert Aldrich (1963) with Frank Sinatra, Dean Martin and Ursula Andress, and "Woman Times Seven" by Vittorio de Sica in 1967, with Shirley MacLaine. 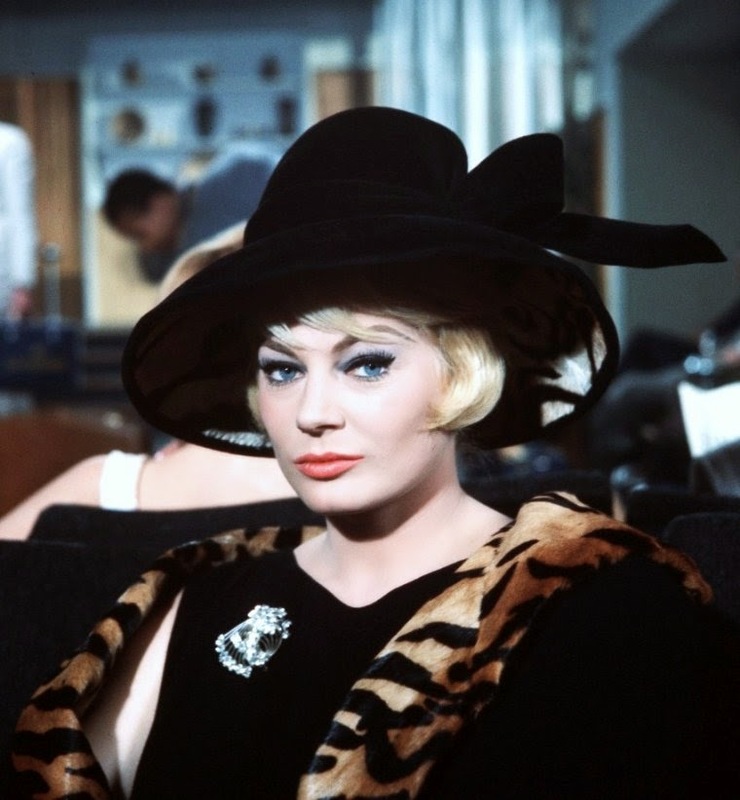 Then, in 1966, "The Alphabet Murders" again with Frank Tashlin, and "Way...Way Out". 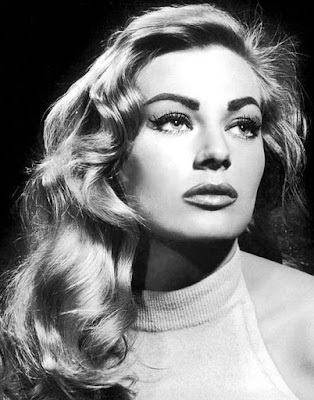 Ekberg reportedly was romantically involved with Tyrone Power, Marcello Mastroianni, Errol Flynn, Yul Brynner, Frank Sinatra and Gary Cooper! 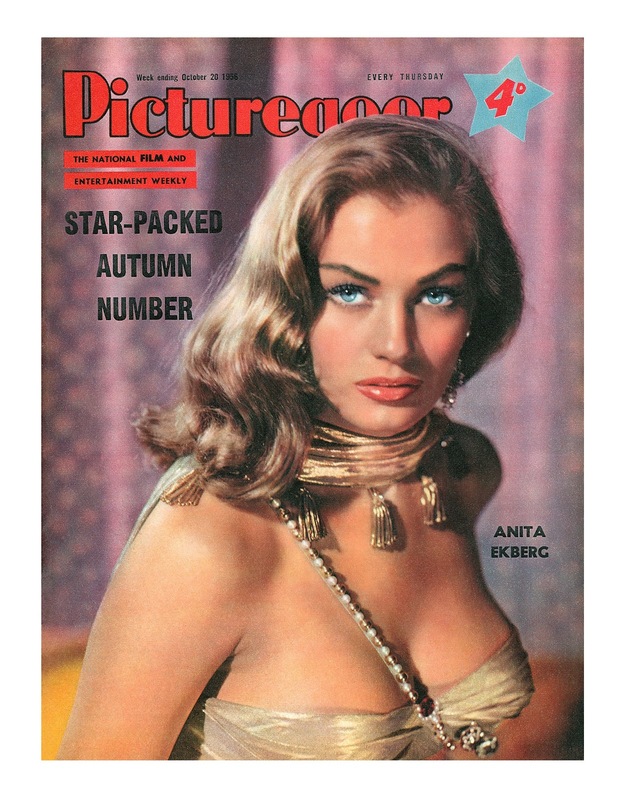 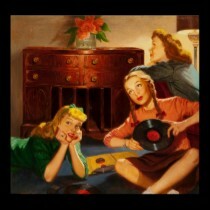 Enjoy Katyna's chic and Anita's glamour!